Aidan Brook is hours away from a peaceful life. 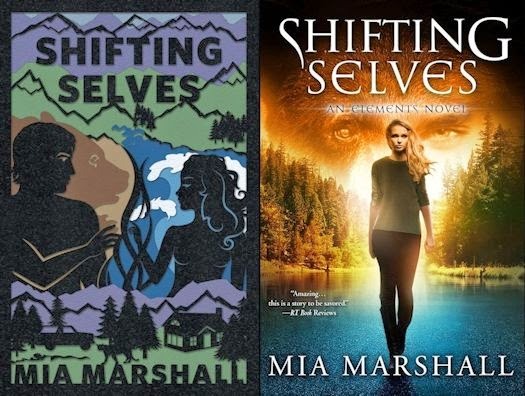 Once she accepts her future as a banished elemental, she can leave her family’s island and return to Lake Tahoe, where she’ll spend the rest of her days controlling her magic in a calm, stress-free environment. That plan hits a snag when a member of the elementals’ governing body is murdered—and Aidan’s best friend is accused of the crime. 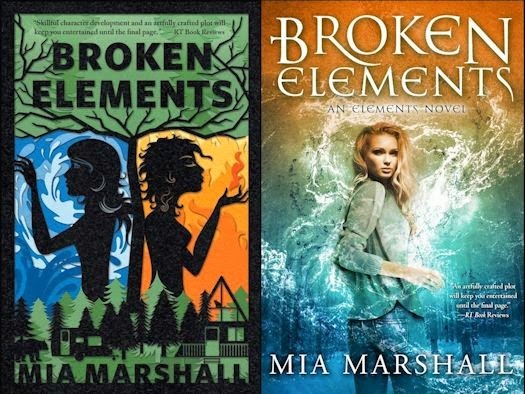 I came across the Elements series by Mia Marshall quite by accident and really enjoyed the first two books Shifting Shelves and Broken Elements. 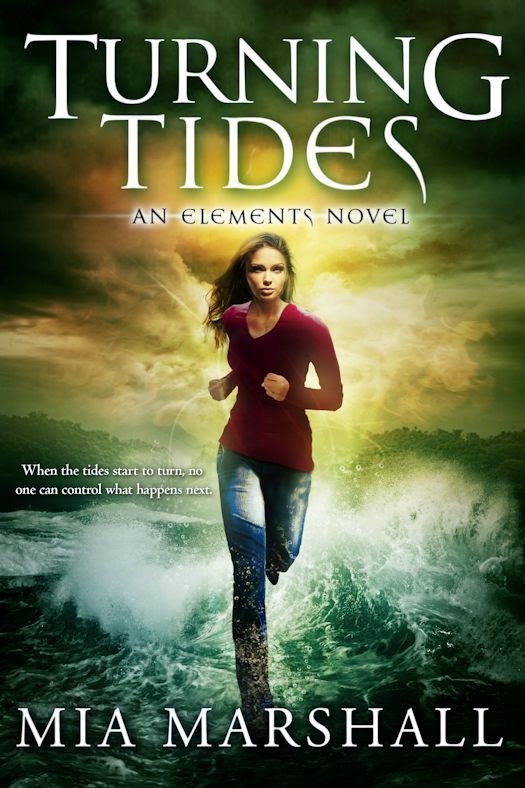 I was really excited when I was given the opportunity to read an ARC of Turning Tides which is the third book in the series. In this instalment Aiden has been forced to face the music and is back on the island where she grew up to face possible banishment from her family and her childhood home. She is on trial for events that occurred in the previous books that exposed the elementals to humanity. Everything changes when one of the councillors proceeding over her trial is quite gruesomely murdered in front of everyone. Her friend and fire elemental, Sera is accused of the crime and Aiden has only 3 days to prove Sera's innocence. Her work cut out for her as the body count rises. Just to make her investigation more of a challenge her friends turn up with another puzzle to solve. Its not long before almost the whole gang is back together including her cat shifter friend Simon and the exceeding cute but equally foul mouthed otter shifter Miriam. They have brought Aiden's 'honey' and shifter bear Mac who has been ill ever since Aiden left for the island. In between finding a killer Aiden has to cure Mac from a bad case of separation anxiety. If you have read the previous books you will know that Mac and Aiden are having as what can only be described as a 'slow burn' romance. We get teased in each book as they come closer and closer but it still continues at a snail's pace. To round out the Aiden fan club are her father, the fire elemental Josiah along with the FBI agent Carmichael and earth elemental Vivian who is helping out from afar. Despite having her friends close by finding the murderer isn't going to be easy and leads her closer and closer to the insanity that plagues those with dual elements. This could be the final straw that pushes Aiden to the point of no return. I was surprised to learn that Marshall had another book out so soon as I thought she was taking time away from Aiden and friends to work on another series. Needless to say I was high fiving myself when I was offered the chance to review this ARC. I really like Aiden as a character and who wouldn't want friends who turned into cats and otters? Aiden has also grown up and not quite so wise cracky as in the previous books but that's not to say that there aren't so funny lines, as there are. The humour is more balanced with the dark and murderous events that play out as she battles with the duality of her elements - fire and water. I was quite surprised at some of the events towards the end of the book, to the point where I thought that Aiden may have crossed a few too many lines. Having said that it does keep the story fresh and avoids Aiden from being too one dimensional and virtuous. The events in this novel really work well for creating spin off story lines for future novels. 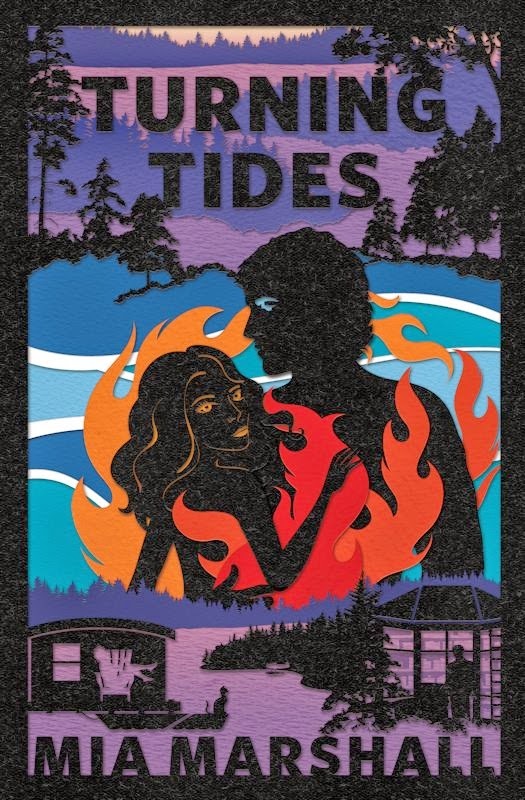 Marshall just about hits everything right with Turning Tides with development of an interesting and funny lead character, equally interesting and funny secondary characters, a great murder mystery and the ramifications from making difficult decisions. I hope that Marshall can keep the pace in future novels and doesn't drag out potential romance between Aiden and Mac or her potential decline into insanity. Please don't leave me too long to find out what happens to Aiden and co. next! p.s. LOVE the print covers!